Stop by to taste that mouth watering, freshly made maple syrup and learn the process of making it! Experience two days of maple bliss in Franklinville NY with all day long festivities including all you can eat pancake breakfast starting at 7:30am, demonstrations and a craft show. There will be a petting zoo, antique gas and engine show, kids rides, a craft show, a PARADE, a library book sale, SAPS 5K race, plowing demos, live entertainment, and the Miner's Cabin will be open! 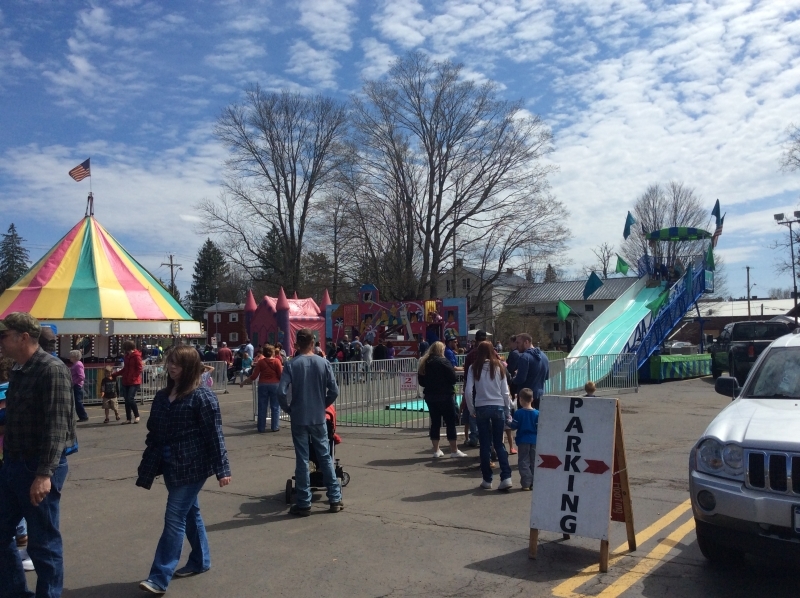 The Annual Maple Festival has occurred every year since its inception by the Franklinville JayCee's in 1962. The festival, in Franklinville, NY, attracts tens of thousands of visitors to the village annually. Local maple producers, their maple syrup and maple products are highlighted each year. The Maple Festival requires hundreds of volunteers which make it so successful. The festival continues each year as a direct result of Franklinville's generous volunteerism spirit.